Regardless of the licensing issue, there are no two ways about it in my mind; Pro Evolution Soccer 2017 is the best football game currently available. This is the beautiful game in its greatest digital form, oozing gameplay from every sweaty pore. If someone wants to pass on the experience because the names aren’t right, more fool them, I say. 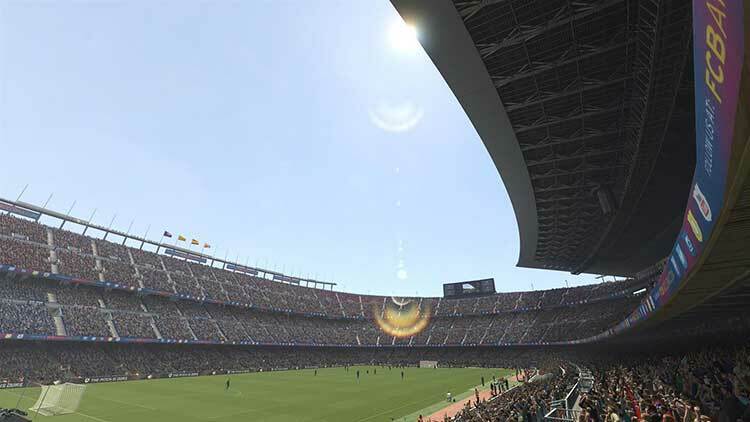 A long-overdue return to form that finally surpasses Pro Evo's PS2 glory days – and, assuming presentation woes are fixed, lays the foundations for an all-new footballing empire. PES 2017 is a remarkably good soccer sim on the pitch—so good that it makes up for the bulk of its shortcomings elsewhere. There's no denying that it's a niche sim with a high barrier to entry; but if realistic gameplay is your number one priority, then PES 2017 comes highly recommended. Strange refereeing aside, none of those issues are more than oddities and PES 2017 is a wonderful football game that just begs to be played. Give me another 200 hours and I'll tell you definitively how PES 2017 ranks against the series' best, but right now I'm enjoying it an awful lot. Fun yet unfair, thrilling yet at times borderline broken, but it just wouldn't be PES if it was perfect. Pro Evolution Soccer 2017‘s Master League is one of the best career modes I’ve ever played in a sports game, and it’s backed up by incredibly solid gameplay. Once you look at the disappointing lack of team licenses, players will find one of the most rewarding sports games available. If you’re willing to overlook the lack of official licensing and entry level mode diversity, then the act of playing football in PES 2017 can’t be matched. 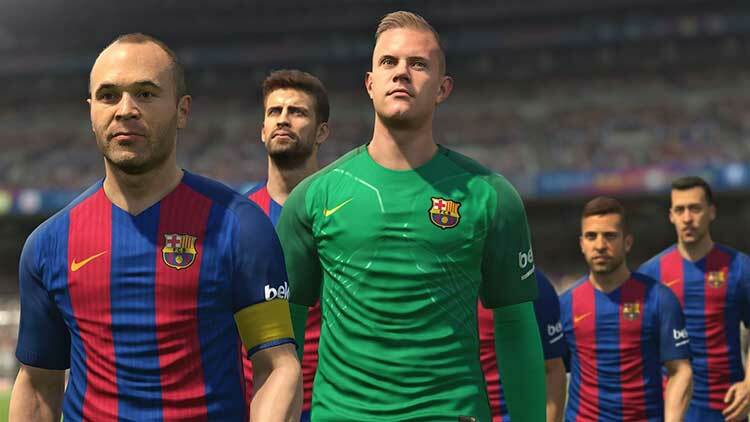 From responsive goalkeepers who each have play-styles tailored to their real life counterparts to the way atmosphere are brought to life by the dense crowds that fill up the Camp Nou, the experience of playing PES 2017 is as perfect as a football can be. It’s sadly everything around that experience that drags PES down. All of which leaves PES 2017 feeling like a superbly talented team of footballers playing on a terrible, uneven pitch. If your football game of choice complements your love of the real-life sport, or you’re interested in testing yourself against online all-comers, consider yourself warned. If you’re unlikely to play online and don’t mind tinkering for an hour or so to get your leagues looking unofficially official, PES is once more a serious contender. 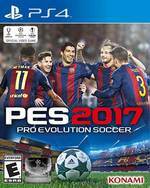 PES 2017: Pro Evolution Soccer is an excellent football game in which fun and realism are balanced. Every pass, every tackle, every goal feels like it has meaning, and Konami has done a great job of creating the ultimate matchday atmosphere. Master League, with its new improvements, is more fun than ever and oozes personality, while the myClub mode offers good competition to FIFA's behemoth Ultimate Team. But while on a technical level PES cannot compete with FIFA’s graphics, especially not this year with the adoption of Battlefield’s Frostbite engine, the animation remains excellent and a pleasure to watch. You can see the physics engine struggling to keep up at times, but since it’s usually working to keep up with the flow of play that’s easily excused. That’s just it, really. At times it feels low budget and it’s hard to look past unlicensed teams in 2016, but then that perfect goal happens and you forget; your senses dulled by the unstoppable one-touch move that peeled a defensive line like a big sweaty banana. That’s what PES has always been about, and this is the most satisfying Pro Evolution Soccer ever. 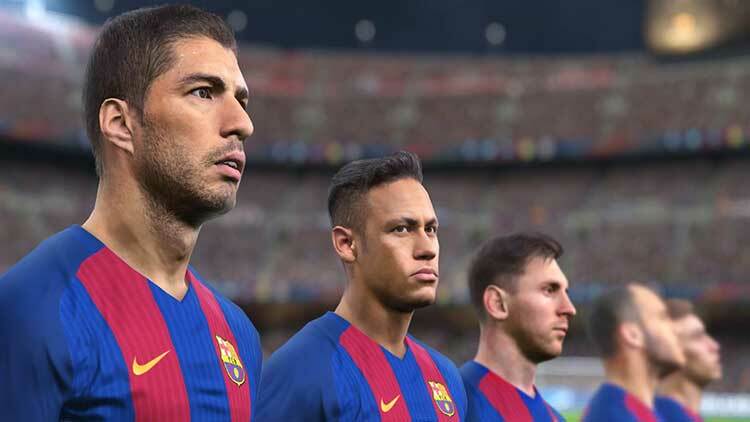 PES 2017 might be a giant leap for PES, but it’s a very little step for football games. Little to offer off the pitch and a joyless chore on the pitch. For hardened PES fans there’s probably enough to satisfy, but for the rest of us we look to FIFA with hope and trepidation. Don’t screw us on this one EA! PES 17 is another example of Konami’s football series regaining some of the charm and style that made the series so great in the past. The game controls well, it looks good and it’s a lot of fun to play. It’s a big step forward on the path to reclaiming its crown, but it isn’t quite FIFA’s empire just yet. 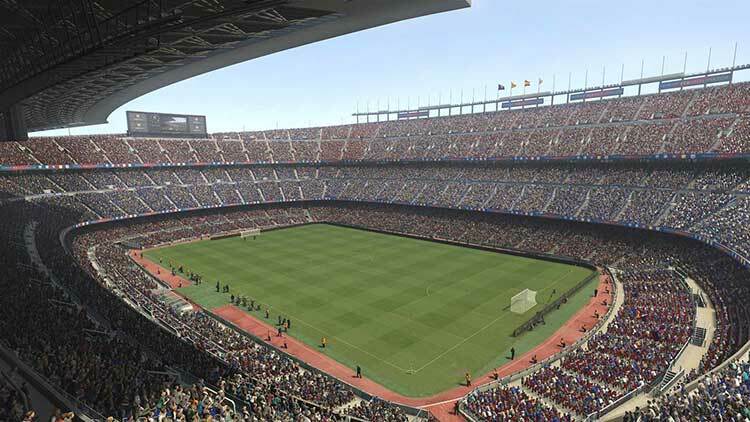 With a few improvements to the likes of MyClub and some parts of the game, the series could be there soon. If PES 2016 was the best entry in around a decade, then PES 2017 is arguably among the greatest in the series full stop. With extra care and attention paid to improving on many of its predecessor’s strengths, as well as tweaking and fixing adhered to its issues, PES 2017 comes out of it as a fantastic football game. Si el fútbol va de sensaciones y estados de ánimo, PES 2017 es el reencuentro con un viejo amigo. Un colega que todavía tiene algunas cosas que nos escaman, pero que poco a poco va puliendo su carácter y es más fácil de tratar. Todavía no tenemos con él la química que tuvimos con las grandes noches de balompié que pasamos en sus mejores tiempos, pero el sendero para la reconciliación definitiva nos permite soñar con que ese momento esté cada vez más cerca. Ya nos gustó bastante el año pasado PES 2016, pero por fallos puntuales, o la nefasta gestión de la actualización de las plantillas, se acabó empañando la buena recepción inicial. Con Pro Evolution Soccer 2017 han arriesgado lo mínimo, algo lógico teniendo en cuenta lo que les ha costado llegar hasta aquí, y se han centrado totalmente en mejorar la jugabilidad, algo que han conseguido sin duda. Cuando le dan unas botas, una pelota y unos metros cuadrados de césped, a Pro Evolution Soccer 2017 le brilla la mirada y sus movimientos transmiten vigor y exuberancia, y en ese sentido no se le puede reprochar ni una sola coma incluso a pesar de contar con cierta desventaja gráficas y de presupuesto. Todo lo que rodea a los partidos, en cambio, termina por emborronar ligeramente el resultado final y separarlo unos centímetros de la excelencia. Estamos ante una edición muy prometedora de la serie. Especialmente porque en cuanto a gameplay ha transformado su experiencia a ser una muy fluida, en la cual el movimiento del balón sea el más natural posible. Dota al jugador de mayor control de la experiencia de juego y ofrece mayor nivel de detalle gráfico. La animación luce muy bien y estamos ante la esperanza de que estamos ante algo bueno y lo mejor está por venir. PES 2017 es un gran juego de fútbol, aunque peca de amarrategui. El control es fantástico, lo cual equivale a tener al pichichi en tu equipo, pero no se puede pasar por alto la ausencia de fichajes para los modos de juego o el apartado técnico, lo que hace que sea casi igual a la entrega de la temporada pasada. Pro Evolution Soccer 2017 sieht in Bewegung richtig klasse aus, wirkt in den Kollisonen authentischer und inszeniert spielmechanisch komplexen Fußball. Der wirkt nicht nur hinsichtlich der Pässe, Schüsse und Tempowechsel sehr ausbalanciert, es kommt eine neue taktische Komponente hinzu. Ich kann direkt im Spiel vier kleine Anweisungen aktivieren, die sich spürbar auf die Laufwege und das Verhalten auswirken - und gekontert werden können! PES 2017 a musclé son jeu, et le résultat est assez enthousiasmant. Avec des gardiens beaucoup plus zélés, une inertie un peu plus soutenue et une défense qui se jette au point d'aspirer tous les ballons qui passent avec une facilité un peu trop déconcertante, cette version exige de revêtir le blaugrana de chauffe pour créer décalages, angles de frappe ou centre au cordeau, l'une des meilleures armes cette saison. PES 2017 s'avère équilibré et particulièrement plaisant à jouer, point sur lequel il brille au détriment d'un contenu encore bien chiche. Pour peu que vous ne soyez pas trop regardant sur la forme, le fond vous donnera donc suffisamment de matière pour passer de longues heures sur ce nouvel épisode, et c'est bien là l'essentiel. Sans pour autant vouloir bouleverser sont projet de jeu, PES 2017 fait de beaux efforts sur le terrain. On aurait bien entendu apprécié qu'il aille plus loin que la simple évolution d'une édition 2016 fort réussie, qu'il remette un peu en question certains acquis, au niveau des modes de jeu notamment. A versão deste ano sofreu algumas derrotas no campo dos licenciamentos, mas compensou-o da melhor forma, com um gameplay que representa uma clara evolução em relação ao ano anterior. Esta dicotomia, que nos obriga a considerar o que é mais importante num simulador de futebol, recordou-me Pro Evolution Soccer 2, o jogo que me conquistou para a série há duas gerações atrás, e que me fez especialista no modo edit. 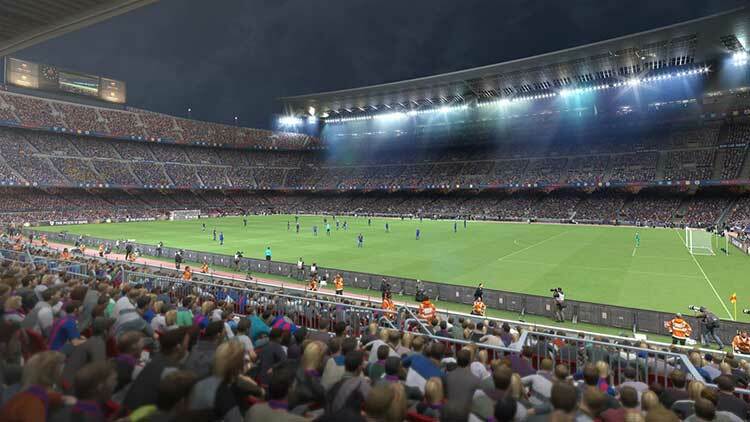 PES 2017 prosegue la strada di affinamento certosino portata avanti da Konami già con l’edizione di un anno fa, bilanciando e migliorando quanto fatto nelle ultime due, ottime, stagioni. Il cuore pulsante del gioco rimane un gameplay fluido, divertente e che si conferma essere quanto di più vicino a un incontro reale. Il risultato è un titolo godibile che però mai come quest'anno soffre la perdita di licenze importanti che in parte vanno a minare anche la godibilità stessa della UEFA Champions League. Un'altra partita importante si giocherà sugli aggiornamenti di rose e giocatori, ma solo il tempo ci dirà se Konami ha imparato la dura lezione dello scorso anno. Konami neemt mee wat vorig jaar al werkte, en durft tegelijkertijd te vernieuwen en te verbeteren. Niet alles is perfect uitgewerkt, zoals het commentaar, maar dat ondermijnd verder weinig. PES 2017 is een zeer degelijk product, één met een hart voor de sport. Als je van voetbal(games) houdt, dan zal je met veel plezier PES 2017 spelen en kun je de game met een gerust hart in huis halen. PES 2017 is een geweldige voetbalgame, die het al zeer sterke PES 2016 bijslijpt. Het tempo is wat omlaag gegaan en de scheidsrechters zijn nog altijd wat discutabel, maar dat mag de pret absoluut niet drukken. Ook online werkt PES 2017 naar behoren, waardoor het plaatje compleet is. Ik zeg al jaren dat PES terug is, maar dit jaar laat Konami zien dat ze ook niet van plan zijn om het toneel weer te verlaten. Czasami słychać opinie, że serii Pro Evolution Soccer wybacza się zbyt dużo – zwłaszcza w kontekście braku podstawowych licencji. Muszę jednak przyznać, iż warto puścić tę kłopotliwą sprawę mimo uszu i skupić się na rozgrywce, bo ta jest naprawdę pierwszorzędna. Pro Evolution Soccer 2017 visar sig vara lite bättre än fjolårets fantastiska upplevelse. Mekaniken och spellägena är i princip identiska, men den kraftigt uppgraderade AI:n, de finjusterade animationerna och det spännande nya samarbetet med vissa klubbar, gör att årets upplaga känns mer spännande och levande än vad jag vågade tro.